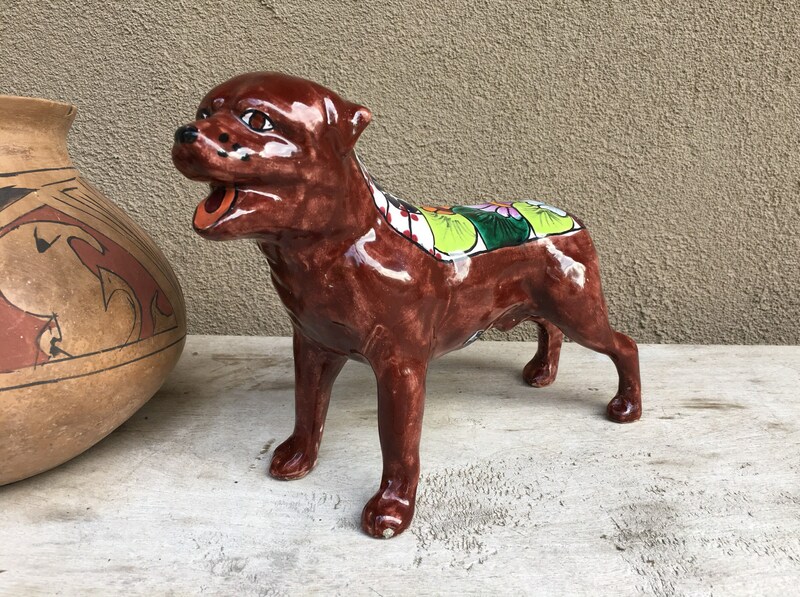 This Mexican pottery dog is wonderful, and although I've always owned mixed breeds, I believe this may be a pit bull or Rottweiller, and if you live in the Southwest or have visited Mexico, you know that both of those breeds are pretty popular in this part of the world. 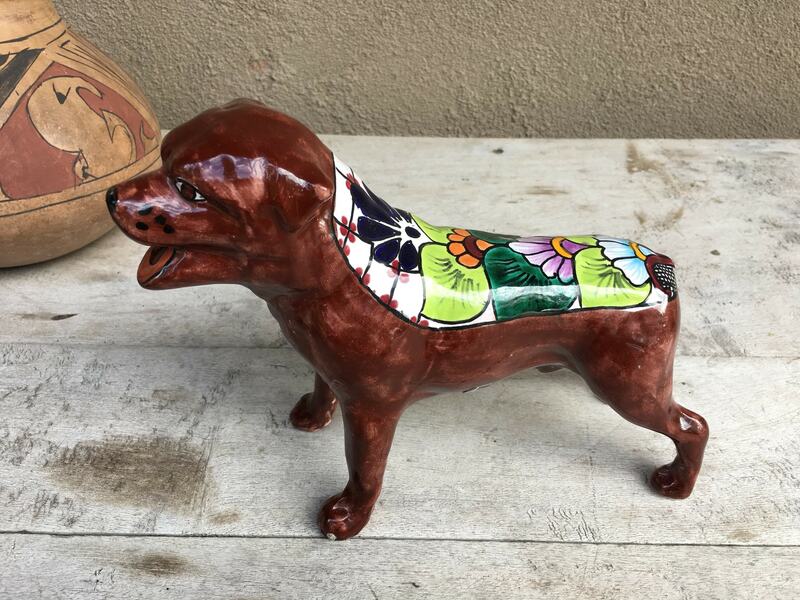 The figurine is Talavera pottery and was part of a group of dog figurines that I got from the same estate. 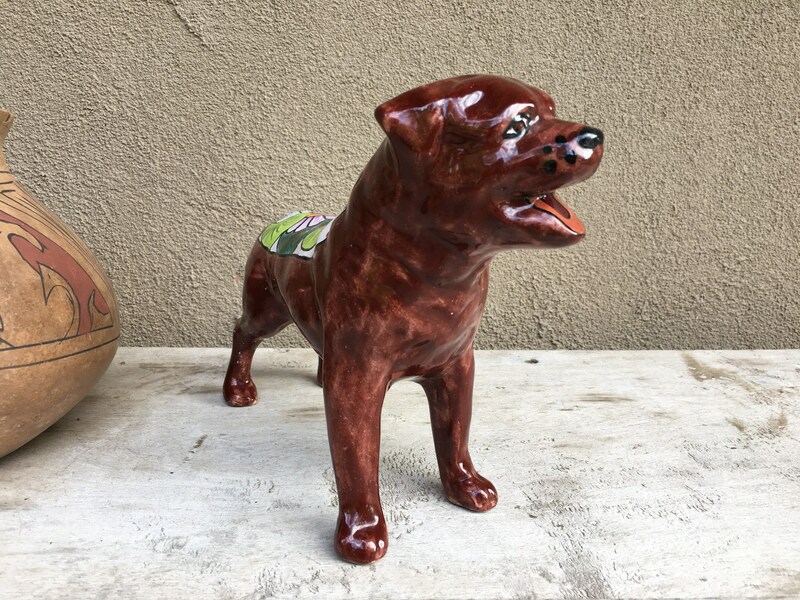 The family had a chihuahuas, and I understand that a son had a pit bull and that this was in honor of his dog. 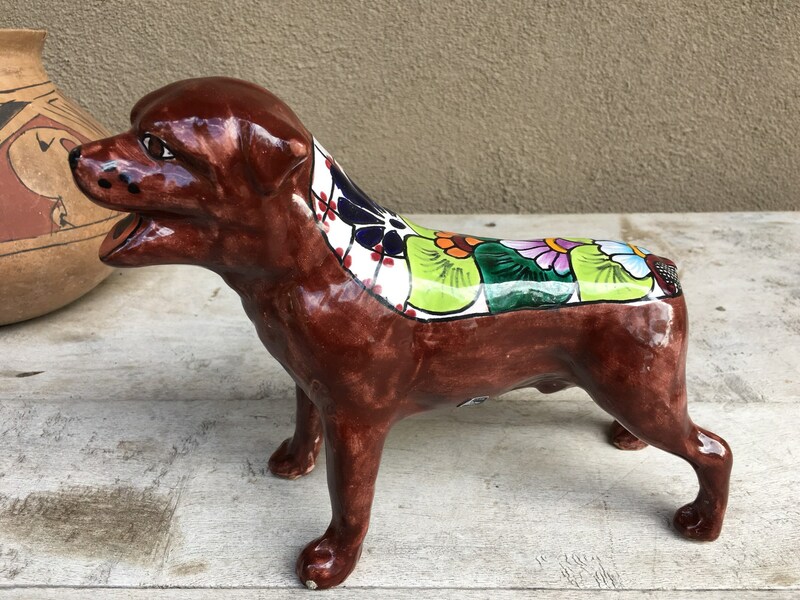 The chihuahua has since sold (I had two and both sold). 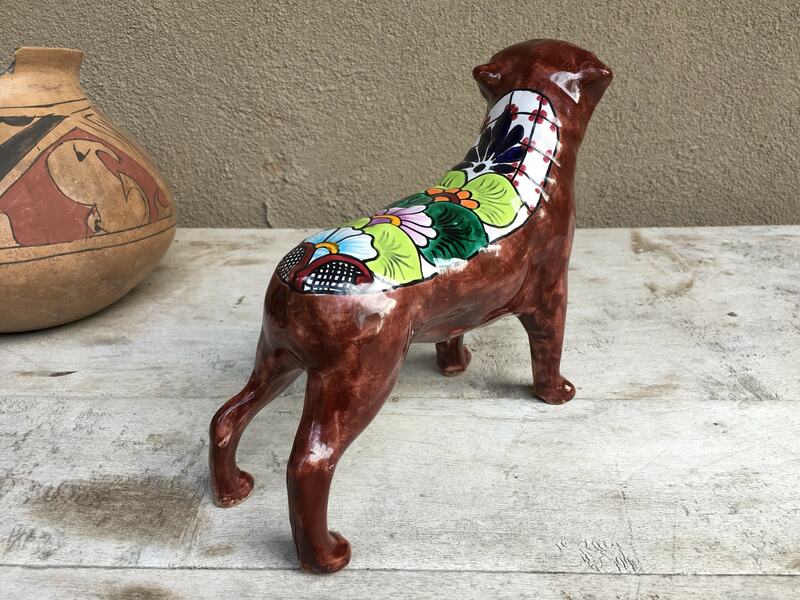 The brown on this dog being offered has a reddish tint to some parts, and the colors of lime green, deep green, lavender, and orange on the back all contrast beautifully. 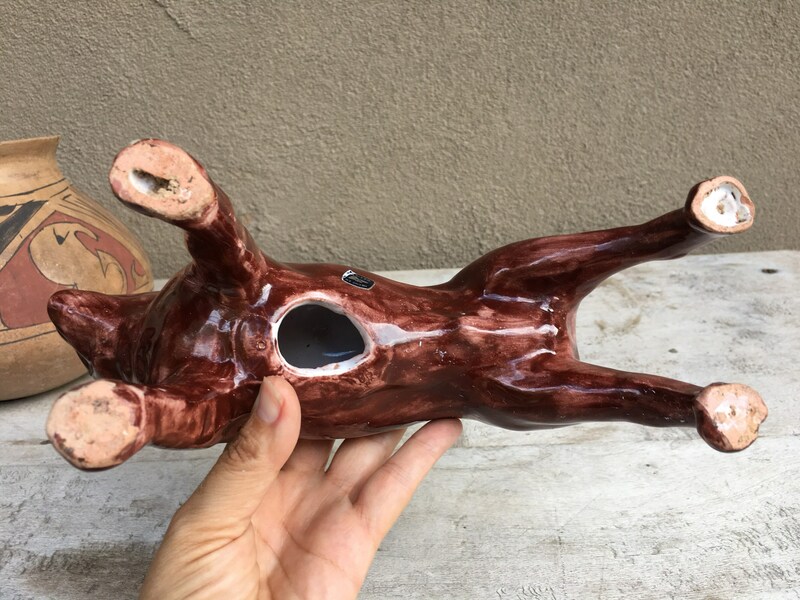 Measures about 10" long from tip of nose to back of feet, by 7-1/2" tall and about 3-1/8" wide. There are pre-production smears, bubbles in the glaze, and the painting of the brown especially is lighter in some areas than others. You can tell it was hand-painted. No chips nor cracks. 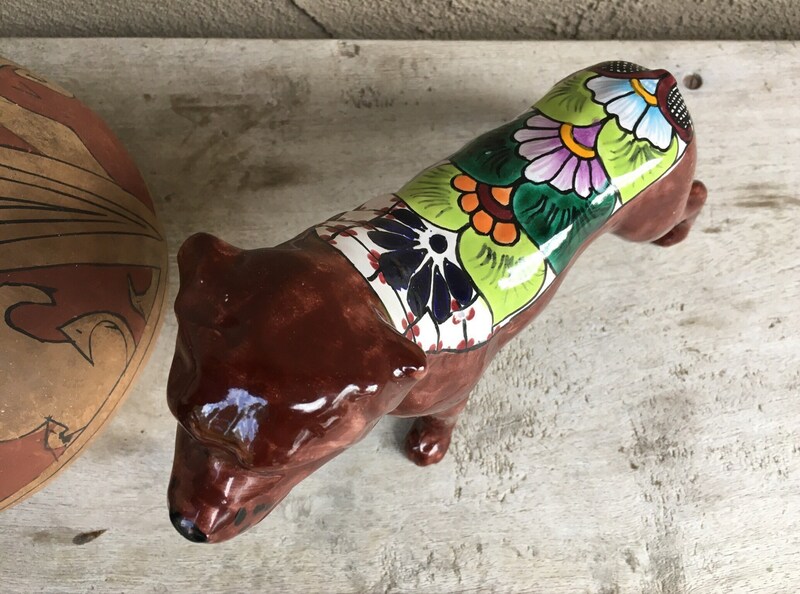 Paws-itively cool to find this type of breed in Talavera pottery!